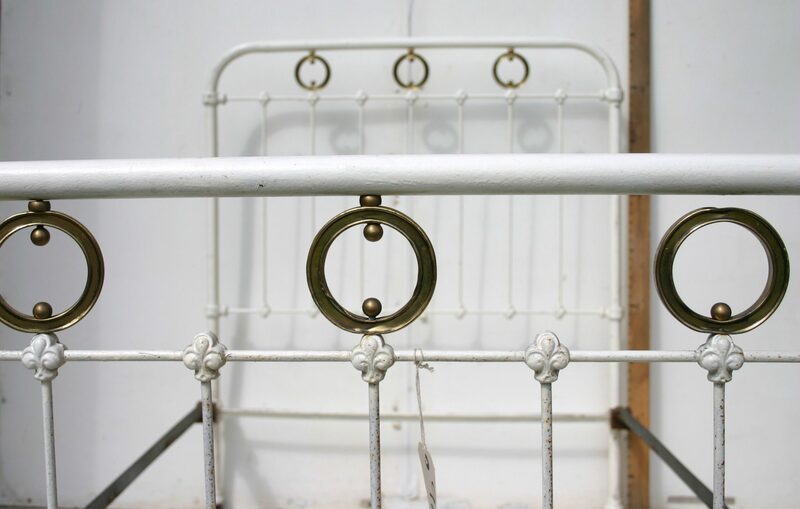 Simple Antique French brass & iron bedstead, linear iron frame features brass circles to the head and foot. Currently standing un-restored, price quoted includes professional renovation. 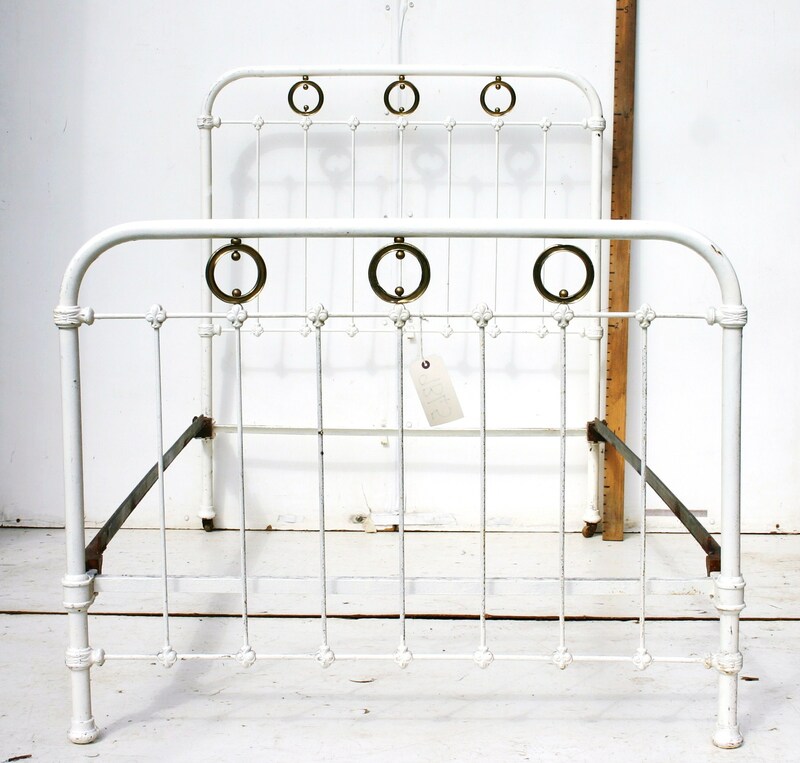 Made circa 1890.